Shop Online and Support Us and Please Share with Others! 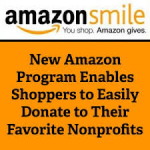 It’s so easy to shop on-line these days & Amazon just made it one click easier to do good! There is no cost to the customer, but for every “Amazon Smile” eligible product (don’t worry, there are lots!) Amazon will donate .05% of the proceeds to our shelter! 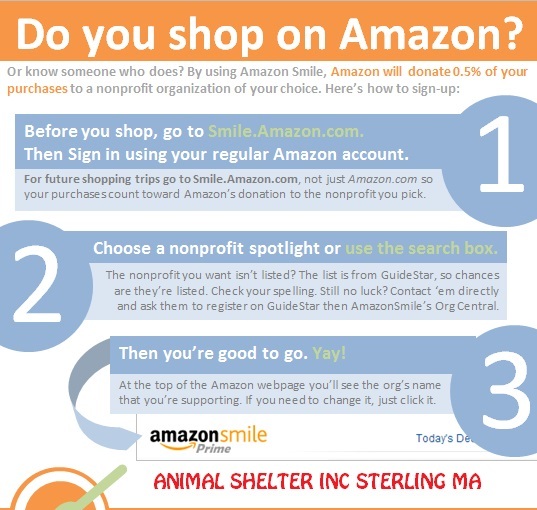 In this search bar, type in “Animal Shelter Inc. Sterling MA“.